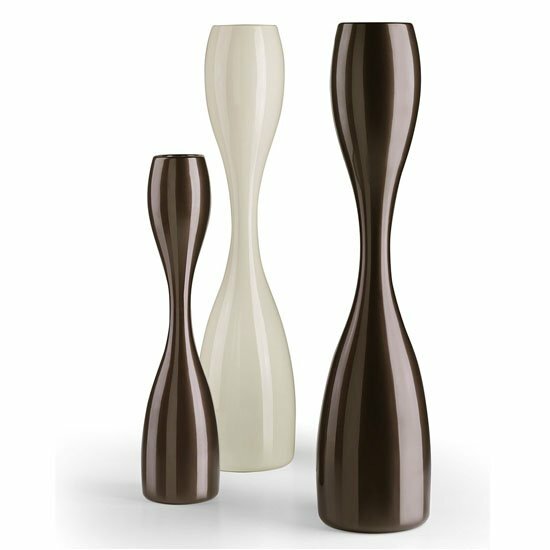 Slender fluid-shaped vase reminiscent of the massive sculpture of Easter Island. An archetypal silhouette available in two sizes to live in pairs or individually. 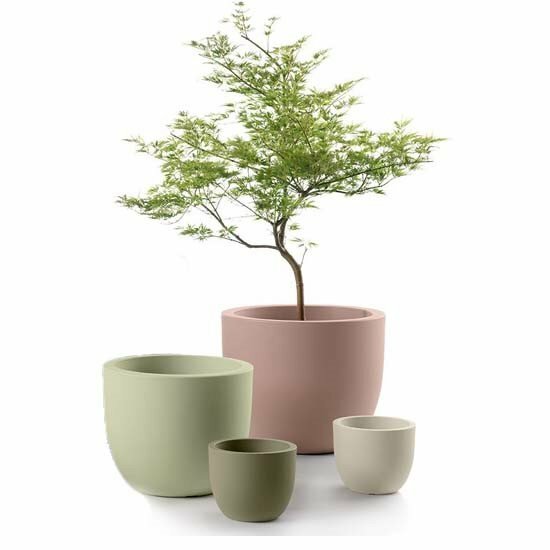 Ideal for small size or vertical shaped plants. Available a stability base or a stability and ground fixing base. Ideal to characterize indoor and outdoor environments with originality. The shape of the metal structure blends with the volumes of the container, thereby creating precious totem-like items that decorate the room discreetly. 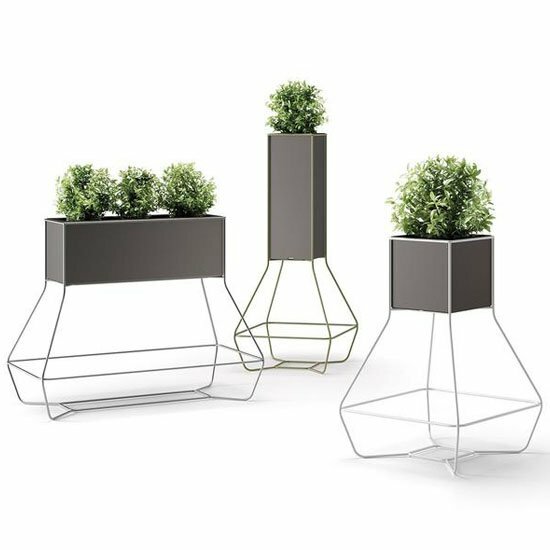 The Halful vase collection stems from the idea to make a PE vase made with a minimum amount of recycled plastic and a “void” outlined by the metal wireframe. The container structure is made with regenerated plastic recycled from selected production scraps and remoulded. 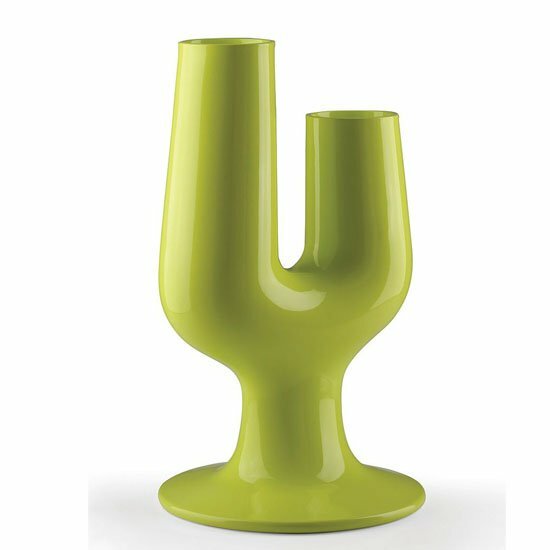 The vases are available with a water reservoir upon request. Oval tubular steel frame. Backrest and seat in tearproof Outdoor Technical Fabric (Polyester coated with PVC), plain or mottled weave, available in different colours. 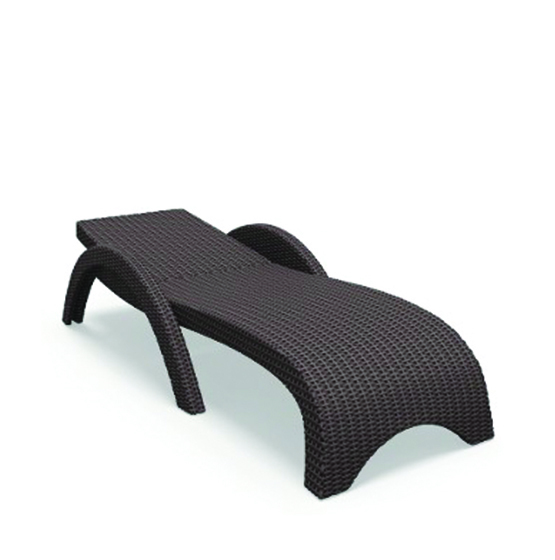 Perfect for outdoor lounge areas. 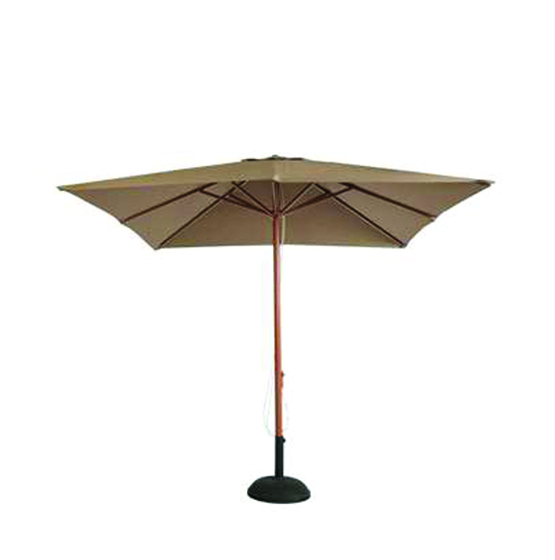 Powder-coated aluminium lateral umbrella of 3.5 m diameter. Eight ribs, 17 x 25 mm. Aluminium pole opening with crank. 250 gr/m2 polyester fabric without "flap". Cover tilt, turning left and right. Turning to 360o rotating. Base not included. It is recommended to close the umbrella or pack away in case of strong winds. 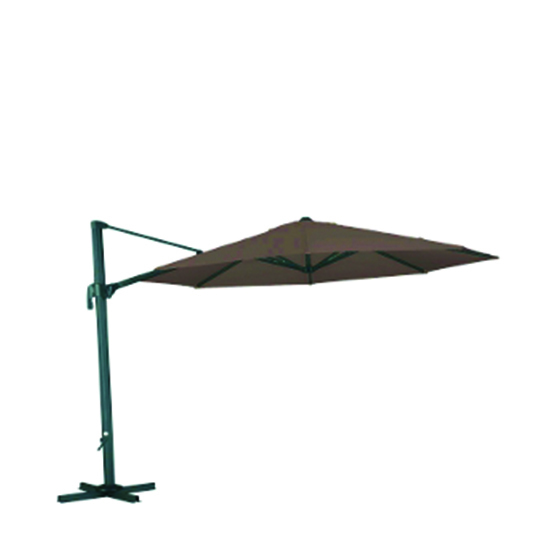 Square aluminium umbrella 3 x 3 m and 2.7 m high. Pole of 580 mm of diameter in wood colour finish. Eight ribs 18 x 28 mm in wood colour finish. 300 g/m2 polyester fabric in natural colour without “flap”, with airshaft. Plastic pole system. It is recommended to close the umbrella or pack away in case of strong winds. 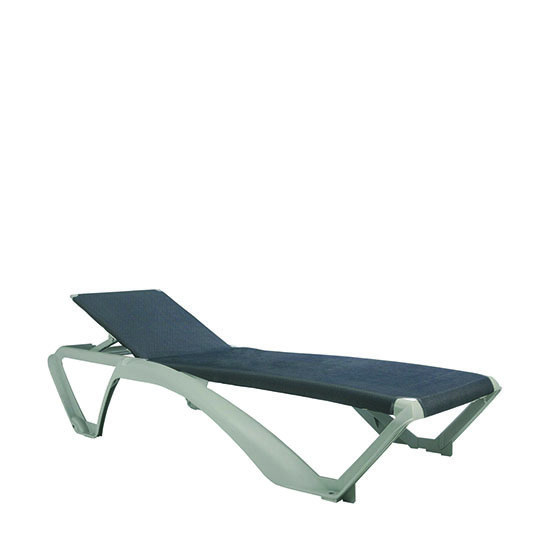 Power-coated aluminium sunlounger in dark grey. Light grey textilene. 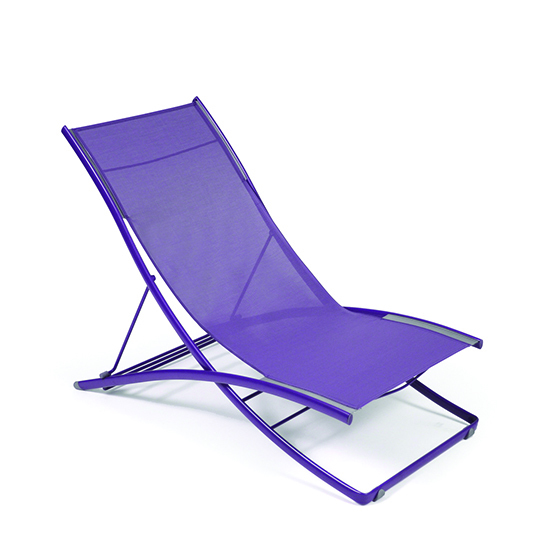 Six-position reclining sunlounger. Stackable sunlounger. Five position reclining sunlounger. Hidden wheels and antislippery rubbers. Made of very strong and durable resin. UV protection, which ensures that the color does not to fade. For outdoor use. Stackable sunlounger. Polypropylene and fiberglass. Textilene 1.170 g/m2, termal bonding, to improve resistance, doublé linen weft and warp. UV protection. Wheels under back legs and non-slip end-plates under front and back legs. Glass holder. 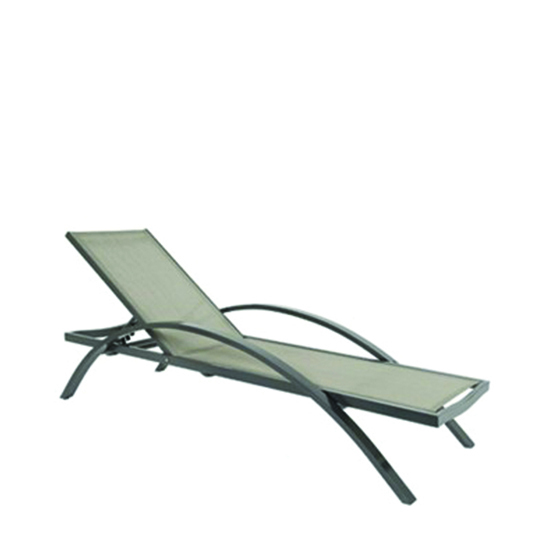 Four-position reclining sunlounger. Outdoor wastepaper baskets, ideal to be used in vandalisable areas due to their toughness. Cast iron base, frame in steel tube and basket made of punched metal sheet with a ring made of steel rod. 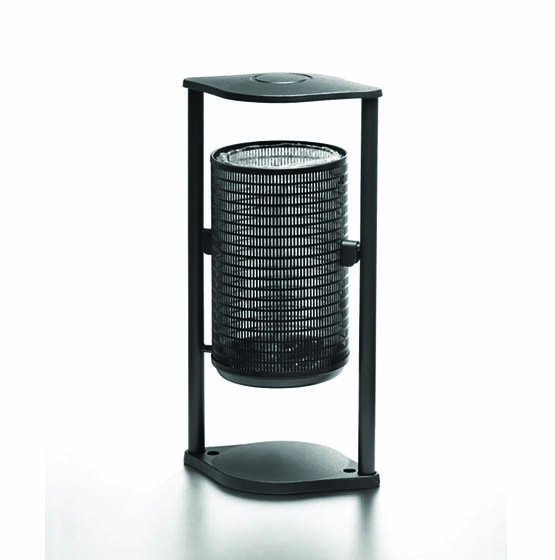 The tilting wastepaper basket has a cast aluminium head and includes a tilting system to connect the frame with the basket. Finished in anthracite colour. 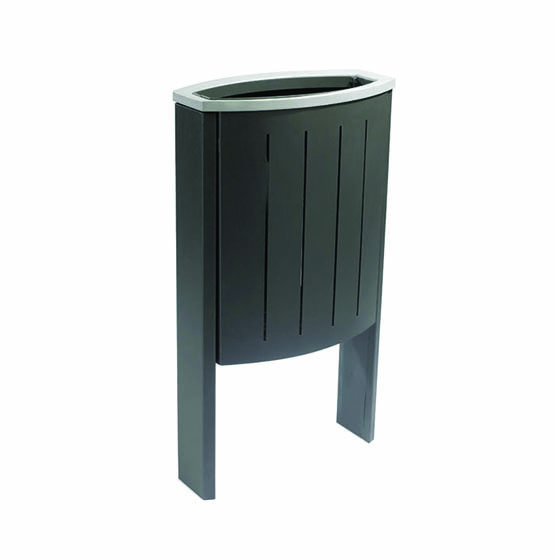 Formal simplicity for this outdoor wastepaper basket with elliptically-shaped metallic basket and grooves avoiding the concentration of smells. Fitted with an inner, movable bag-supporting ring to make the fitting of a bag easier and a cast aluminium ring to finish the basket. The basket is fixed to a non-movable metallic structure consisting of two trapezoid-shaped legs that are fastened to the ground. Finish: anthracite anticorrosive treatment and grey or black ring.